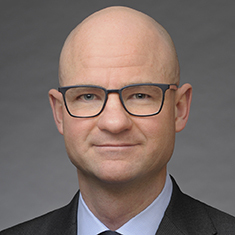 Andrew Lillis focuses his practice on debt financing transactions for private equity groups, mezzanine and subordinated lenders, and private and public companies. He has particular experience with financings in connection with major leveraged buyouts, public offerings, secured bond offerings, dividend recapitalizations, working capital financings/refinancings and restructurings, and public company financings. Andy's deep transactional experience includes senior, subordinated, bridge and mezzanine facilities, both secured and unsecured, and have ranged in size from several millions of dollars to more than a billion. Prior to law school, Andy served as a Lieutenant in the US Navy, completed the Navy's nuclear power training program and deployed overseas on the USS Minneapolis-St. Paul (SSN 708), a nuclear-powered fast attack submarine.